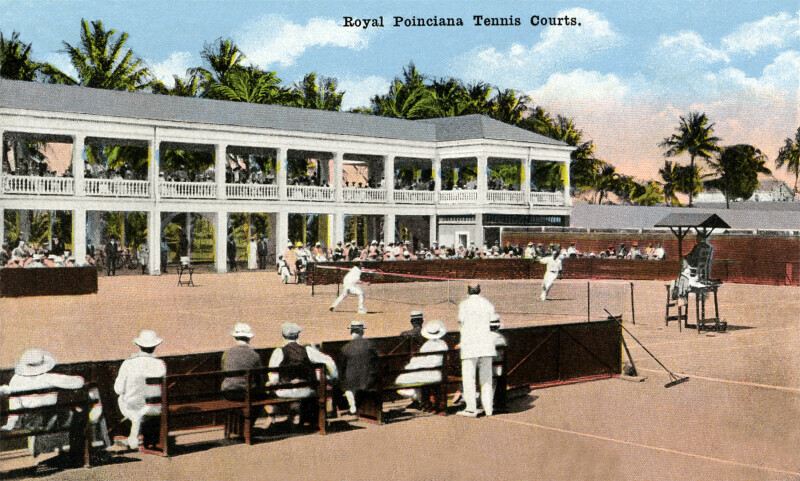 This scene shows a tennis match being played, on the grounds of the Royal Poinciana Hotel. There two people playing tennis. The tennis courts appear to be net to the colonnades, and some people are watching from there. There are also benches on both sides of the courts, and some spectators are seated on the benches.